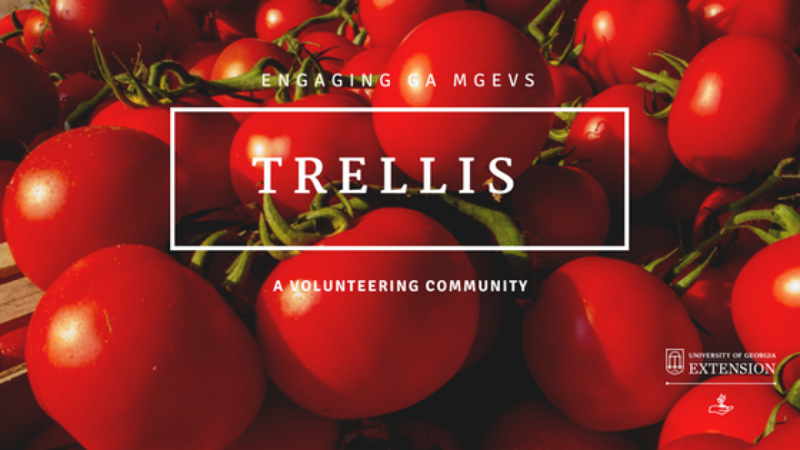 Trellis | What’s New in MGLOG?! We have some rather exciting news to share with you!! 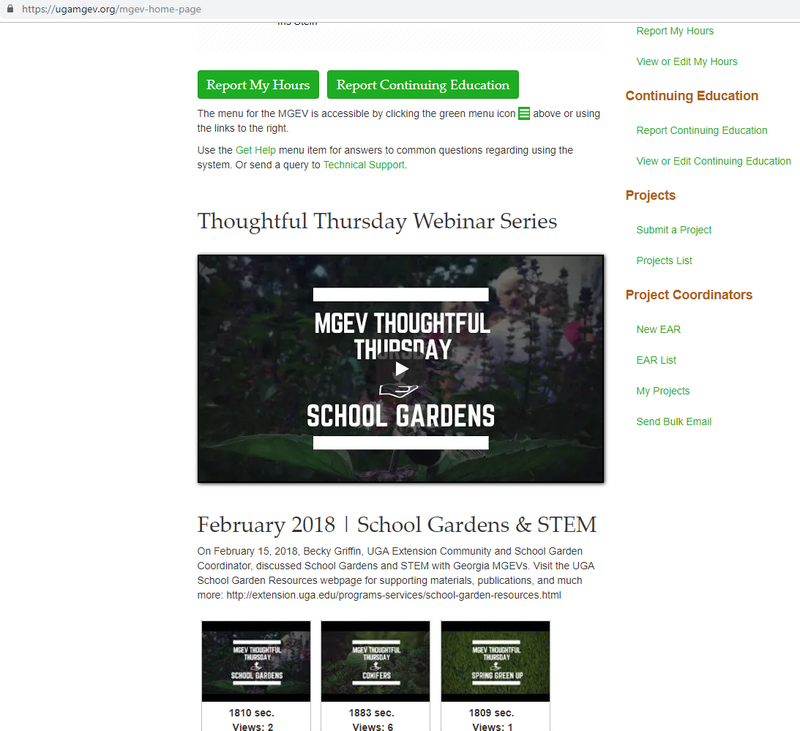 If you are unable to join in the live webinar sessions for upcoming Thoughtful Thursdays, do not fret, just check out the recordings when you access MGLOG to log volunteer service hours or continuing education hours. And, this webinar series is a great opportunity for continuing education! While you are logged into your MGLOG account, be sure that your RMT is up-to-date prior to October 1, 2018 to maintain active MGEV status. Instructions for completing the brief training guide you through the process. 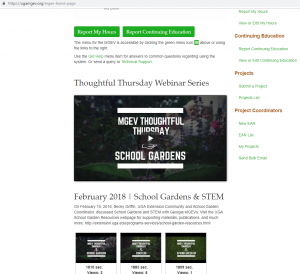 Posted in Continuing Education and Awareness, Projects, Thoughtful Thursdays. Bookmark the permalink.